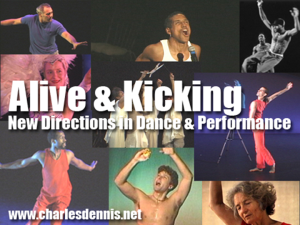 Alive & Kicking is an ongoing video documentary series that showcases the dance & performance artists who are expanding the parameters of contemporary performance. 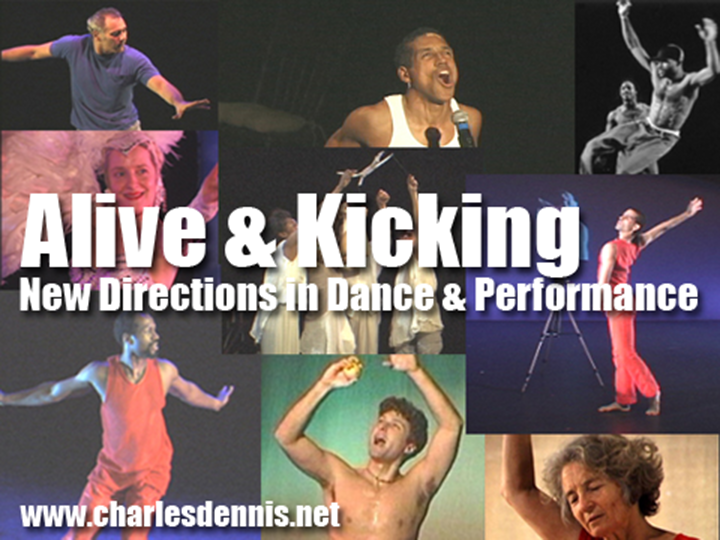 Since 1993 choreographer/performance and video artist Charles Dennis has been documenting contemporary performance and producing & directing this series of video programs that feature cutting edge artists. The series now features over 90 programs that are available for purchase on dvd. Artists featured include Doug Varone, Eiko & Koma, David Rousseve, Rennie Harris, STREB, Ann Carlson, Jane Comfort, Neil Greenberg, Joe Goode Performance Group, Ron Brown, Simone Forti and Tim Miller. Each program showcases an individual artist and includes excerpts from an in-depth interview and clips from a live performance. Dance and theater departments in educational institutions worldwide are acquiring the tapes to keep students and faculty in touch with current trends in the performing arts.